I’ve had so many people showing a great interest in playing solo ukulele instrumentals lately. 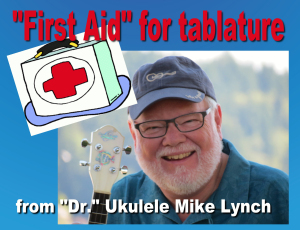 Sales of my SOLO INSTRUMENTALS eBook plus my CHRISTMAS UKULELE eBook not to speak of all of my individual tabs lets me know how popular solo instrumental playing is becoming among the global ukulele community. 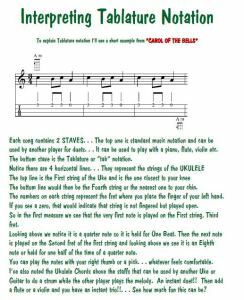 A couple of years ago I released a collection of Solo Christmas Melodies and below is a page from that collection that attempts to summarize the subject of TABLATURE notation. What in the world is tablature anyway??? Instruments such as the lute, viheula and guitar. There were also types of tablature for organs, harps and ocarina.